It feels strange to me to be posting pictures of new cakes instead of new doll designs, but I’m rolling with it. 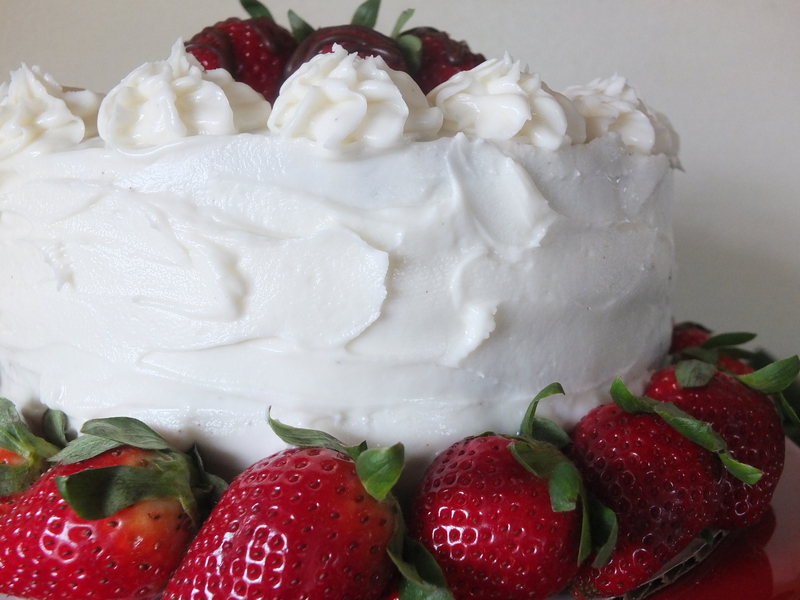 I decided to grab these last few afternoons in my own familiar kitchen to try some new cake ideas since I would like to start adding to my repertoire and figured now would be as good a time as any. 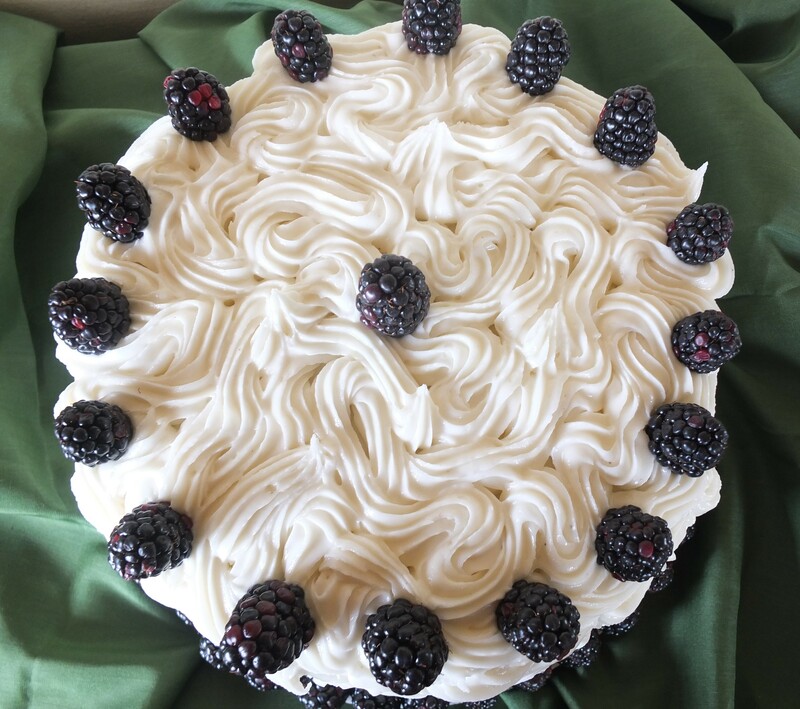 As popular as my uber-fancy raspberry cake has been, I wanted to have something a little simpler to offer and perhaps a little more affordable. 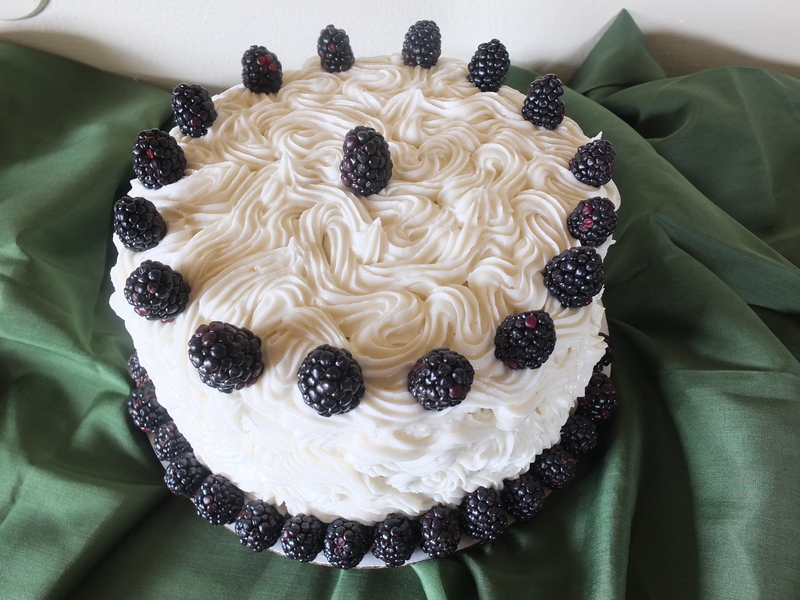 And as much as I love chocolate, I also like a nice simple vanilla based cake. 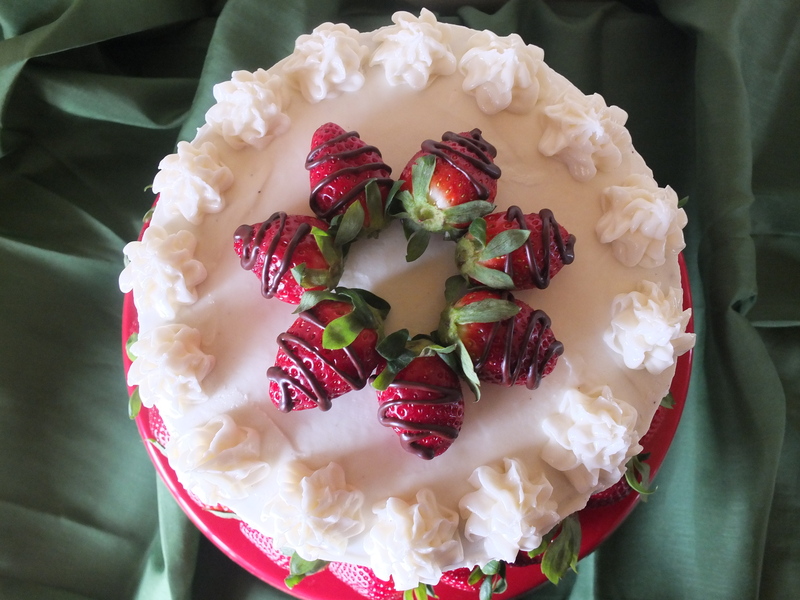 As far as cake styles go, I am always drawn to fresh fruit. I mean, it tastes fabulous, looks great, and instantly turns a cake from ho-hum into something that really stands out. It’s also super easy to decorate with. So without further ado, I present two new “fruit cakes” for my shop. 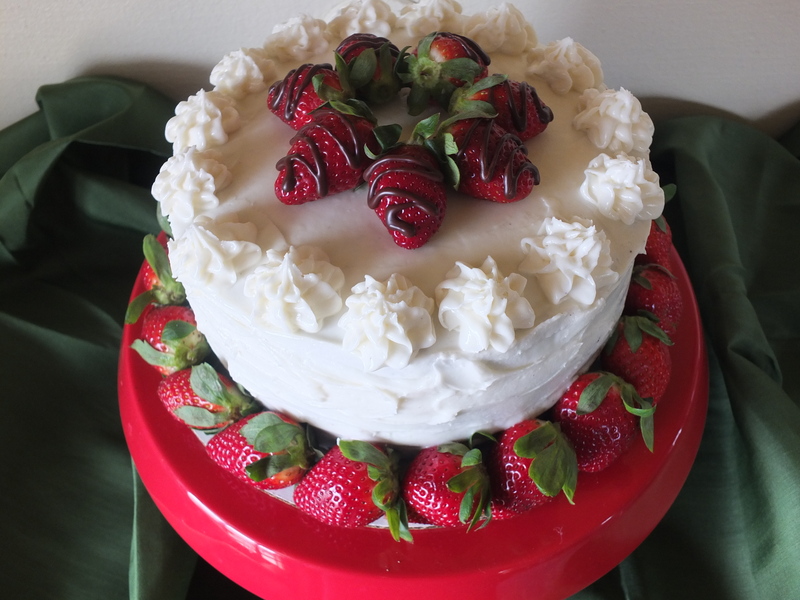 This is three layers of a super yummy and moist sour cream cake, filled with a whipped cream and fresh strawberry concoction and frosted with vanilla whipped cream frosting. 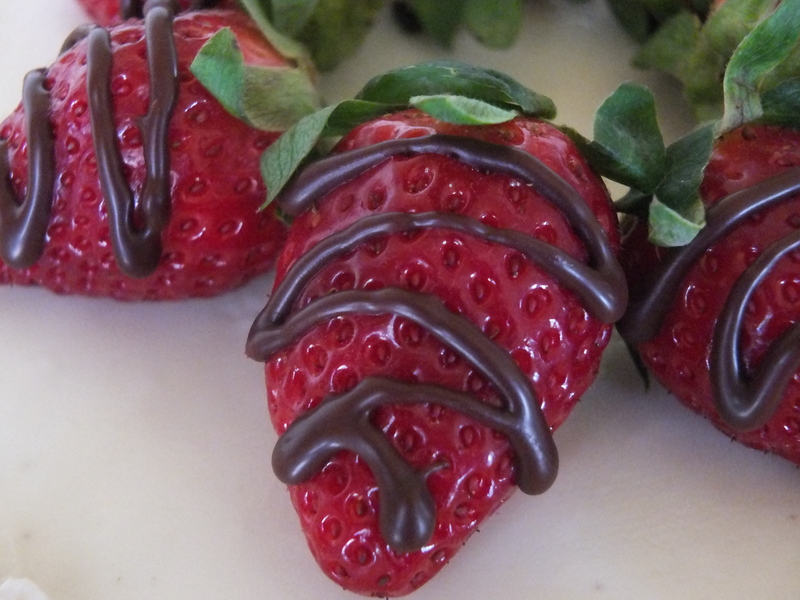 Now fresh fruit really needs no embellishment, but a little chocolate drizzle on the strawberries never hurt anyone. 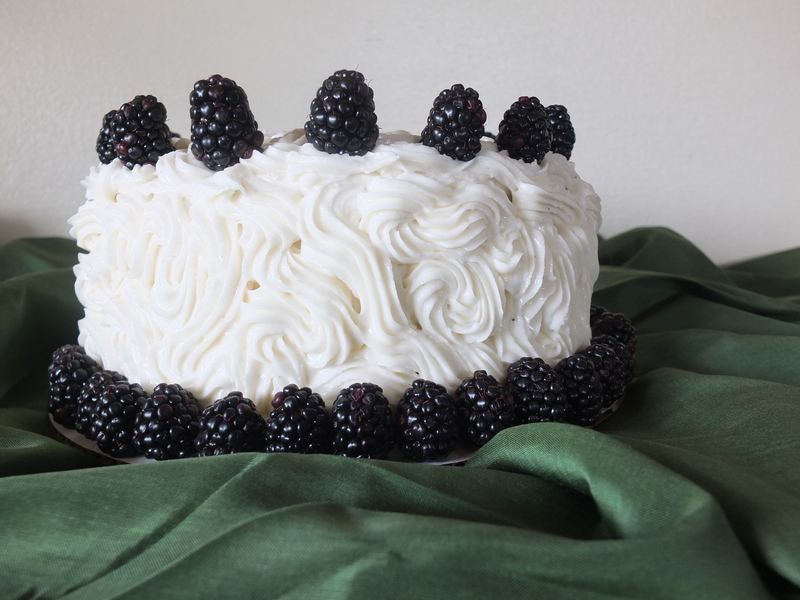 I think next time I make this, I will incorporate a blackberry puree into the buttercream icing, just for a little extra color, but I didn’t have enough berries this time. 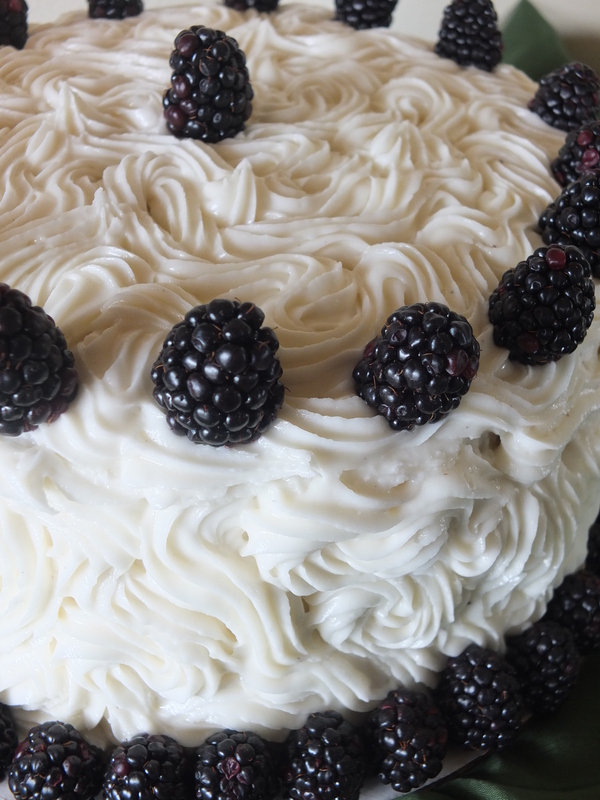 The interior is three layers of a fluffy lemon cake, slathered with lemon curd and fresh blackberries. 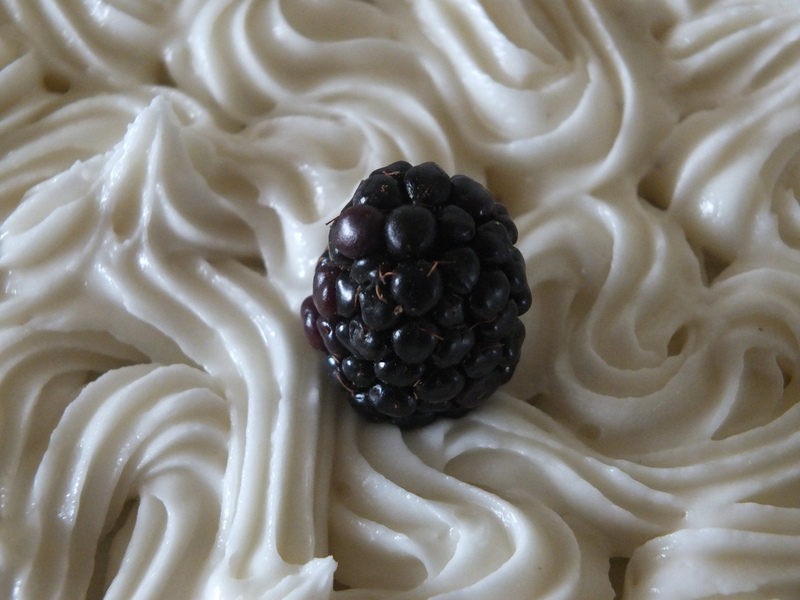 The frosting, a rich lemony butter cream garnished with more blackberries. So there you have it! Leave a comment if you are interested. 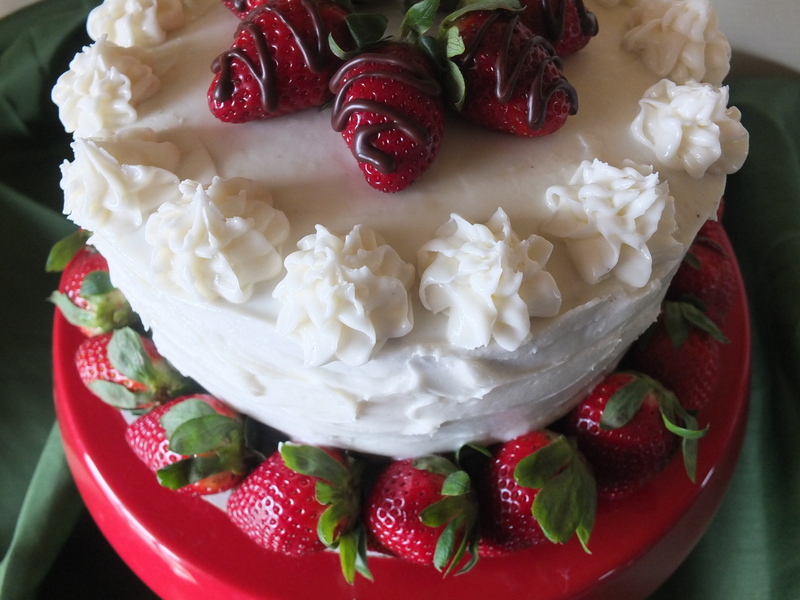 Any of these cakes are really perfect for just about any occasion, so let me know.